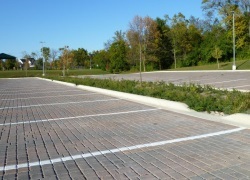 Transportation surfaces (roads, parking lots, and driveways) account for over 60% of impervious urban surfaces. 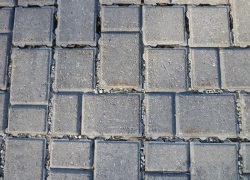 Permeable pavement allows rainfall to infiltrate down rather than running off into storm sewers. Rainfall moves into a rock chamber below the pavement. Water in the pore space between the aggregate either percolates out and down through surrounding soils or moves to a perforated drain pipe installed in the rock chamber. 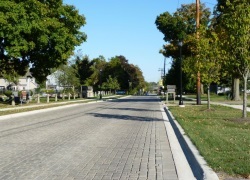 Water is slowly released to become ground flow or enter surface waters after it has been cleaned and cooled by moving through the pavement and underground rock chamber.